Express Tagging for the Fall 2018 Sale is full! Please contact Allison (allison@happymoms-sale.com) for more info regarding this service. Thank you! Do you have a lot of items that you would like to consign but no time to tag them? Let us do it for you with our Express Tagging System!! We’ve designed this customized system in order to meet the needs of each unique consignor and we believe that regardless of which option you choose, it’s definitely the most profitable option around! Sale 1: Consignor gets a flat 40% of the sales minus $30 in fees. The consignor has no say in the determined price, no inventory system to see what is entered and ensure sale accountability, and the consignor does not get any of the unsold items back after the sale. Sale 2: Consignor gets a flat 60% of the sales minus a $15 flat fee minus a 50-cent fee per item entered and a 25-cent fee for each item rejected. In other words, the consignor does not set the price or present the items but still gets charged a significant fee for all items…even those that are unsold and even untagged. Sale 3: Consignor gets a flat 30% profit with no fee. All unsold items are donated. In summary…I, as a mom and consignor, never would have used these systems. Why? Because I would not have been comfortable with the fact that I would not get my unsold items back after the sale, and I would not have wanted to pay a half-dollar fee for an unsold item when I was not the one to present the item, set the price, or market the sale to potential shoppers. -BASE SERVICE: We price and tag your items. You launder, sort, and hang/present your clothing. Any non-clothing items must be cleaned (with batteries if applicable), checked that all pieces are included, and sorted with corresponding toy. (i.e. pieces in ziploc bag attached to the toy). We will price them to sell, attach the tags, and take them to the sale! You will get 50% of your total sales minus the Express Equipment Fee*. *All Express Tagging Services include an Express Equipment Fee of either $10 or 5% of consignor sales, whichever is greater. HANGER FEE: If you choose to pickup unsold items then you can either pay 10 cent per hanger or take the hangers off when you pickup your items. PICK-UP FEE: First 10 miles Free then $0.50 p/ additional mile (both to and from). Clean your items, including laundering your clothing items. Inspect to make sure all electronic toys have batteries and accompanying chargers, and are in good working condition. Determine which level of service you want to participate in. If applicable, sort and hang your items according to our tagging instructions. Place items in plastic totes (No Bags please), and make sure your name is on the tote and lid. If not utilizing the storage service your totes will be returned to you at the end of the sale during item/check pick-up. If we store your items, then we will use your totes to store your unsold items for the next appropriate sale. Access to an online portal where you can see all of the entered items and a final seller report in which we show a detailed description and selling price of each item sold. The confidence of knowing that we will maximize your profit based on our experience and expertise. Because we share the value of each sold item, you have the peace of mind of knowing that we will price your items to sell, but at a price in which you will make the most money possible. A high percentage of sold items! Our express consignors with nice items do very well and have been extremely satisfied! A pass for yourself and a guest to shop the day before the public!!! Since I am getting a lower percentage than the standard 65%, why do you also charge me a fee? Answer: Express tagging is a popular program and it takes a lot of work in order to get each moms’ items ready for the sale. It also takes a lot of supplies. Our average express consignor has over 150 items and a lot of those items are clothing items. The express consignor fee covers things like safety pins, Ziploc bags, tape, cardstock, and ink. In what situations would you recommend me utilizing the express tagging system? If you have a lot of items…especially name-brand clothing items. We have a lot of experience in pricing and presenting items to sell and if you have a lot of items then you will probably benefit more from having us price and sell the items for you. If you have items that you want to consign but your schedule simply does not allow you the time to enter and tag the items on your own then we encourage you to utilize express tagging. Our online system is quick and simple but we understand that everyone’s schedule is different and some people just do not have the time. In these cases, we would love to help you out. If you just want us to do it for you! The truth is that we have a great track record at helping our express consignors earn great checks and we believe you will love the convenience and financial return that our express tagging system provides! In what situations would you recommend me tagging the items myself as opposed to utilizing the express tagging service? If you do not have very many items to consign or you have mostly big items. In these cases, we recommend taking the time to enter and price the items on your own. We will be available to help with any questions you have but we recommend you taking the time to learn our simple system and keep the extra percentage for yourself! 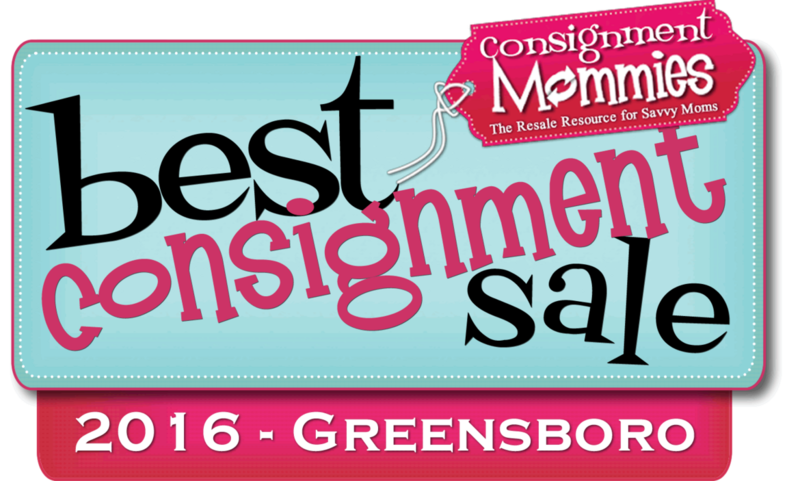 If you have experience consigning with us or with another consignment sale. Our tagging system is second to none and we believe that if you have been able to handwrite tags or use other systems in the past, then our system will be a breeze! The battery fee of $1 per battery seems high. Why? Shoppers that are interested in toys and equipment that use batteries want to make sure the items work. Therefore, we ask all of our consignors, including express consignors, to have batteries in their toys and equipment. However, when an express consignor’s items do not have batteries, it requires our money AND time to place batteries in an item. Furthermore, we have often found that we end up wasting valuable time putting batteries in items that do not work. By having this fee in place we hope to ensure that our express consignors will only provide us with working toys that are ready for us to tag and sell when we pick them up. We reserve the right to reject a consignor’s items or offer lower rates due to the quality of the items. The percentages above are based on situations in which the majority of a consignor’s items are clothing. If you have several large toys or furniture items, then we will consider adjusting the percentages of your earnings in your favor. You may choose to set the price on specific items that we tag for you but we may choose not to pickup or store unsold items (if applicable) for which we did not determine the price. You are welcome to volunteer a shift in order to shop the very first night of our sale but you do not gain an extra 5% of sales with your shift the way non-express consignors do. As an express consignor, you can earn a bonus for referring new consignors. This bonus will consist of 3% of your own sales up to a maximum of a $30 bonus PLUS a 2% bonus of the combined sales from any NEW referred consignor (Unlimited). In order to receive a referral bonus, the referral must provide your name when signing their express consignor agreement. Due to the amount of time that it takes to sort items, non-seasonal/non-sellable clothing items that are mixed with seasonally appropriate items are forfeited by the consignor and become the property of Happy Moms LLC.